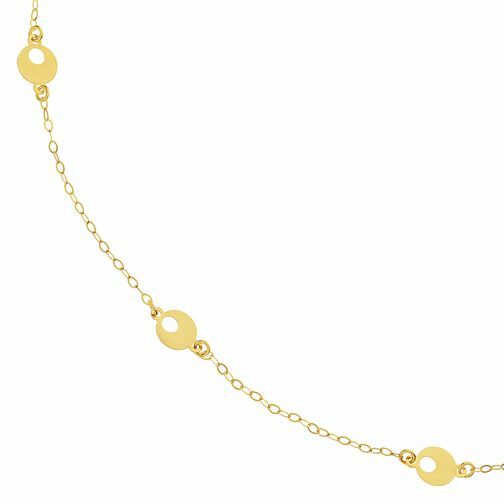 Luxury with unique detail, this beautiful 9ct Yellow Gold 3 Open Disc Choker is an elegant choice for the fashionable woman. Finished on a dainty choker style chain with intricate disc detailing. Dress up or down for the perfect touch of feminine charm.